Home» Blog » What the Market Will Bear? I don’t know much but I do know this: He ain’t no Adam Smith. Martin Shkreli, CEO of Turing Pharmaceuticals, is an unlikely crusader for socialized medicine, fairness or anything even in that ballpark. While so many in the mainstream media have expressed their outrage, even using the term douchebag to describe him – a vulgarism when I grew up – they have all, in my view, somewhat missed an even larger point. Jacking up the price 5000% on a 60 year old orphan drug, Daraprim (pyrimethamine), for which there is no generic, because its target population is so small, is admittedly devastating for those who need it. The drug is for prophylaxis against malaria and is used to treat toxoplasmosis, an infection caused by a parasite. It may be found in poorly cooked food, may be transmitted by cat feces, and carries risk of blindness to developing fetuses. It is also used to prevent other kinds of infections. 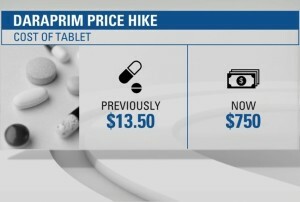 But Shkreli and Daraprim pricing has completely blown the cover on a much bigger issue that plays itself out daily in multiple, albeit less dramatic and “douchebag-y” ways. And no, I am not writing today to try and engender compassion and empathy for CEOs and industry executives and how hard it is for them to keep up their mansion and Maserati payments (or in the code they use, support R and D). Indeed Shkreli, with a background of shady stock dealings that preceded his recent high jinx, is unlikely to go down in history as anything but a poster child for greed. Never mind the man behind the curtain, for Shkreli has lifted the veil and laid bare our tremendous ambivalence about having a for profit healthcare system in the first place. Indeed, I admire his tweet about flipping the bird at his critics. He may be vulgar and unfeeling and greedy, but he is shockingly honest in forcing us to look at the hypocrisy and fundamental unfairness that lies at the heart of the application of capitalism to something as universally needed as healthcare. If only such honesty were on display whenever access to care is on the docket. Raw capitalism is often misapplied in the healthcare system. Who’s the customer? What’s the market? In our own world of pain management one often hears that there are around 70 to 100 million people with chronic pain. If you have a highly effective pain medicine (God forbid an opioid) that you’ve developed, are you to hope that you can find a way to saturate all or most of the market? In new launches today, you’re wise to promise that you will not initially market it to physicians who, despite having DEA numbers empowering them to prescribe your medication, are not in a top decile for use of opioids. I am not saying such measures are wrong. Indeed, I think they are smart especially with new product launches, given the potential for overuse, addiction, overdose and death. But they are reflective of the ambivalence and”illness of fit for capitalistic principles in healthcare. If you were a car maker and there were 70 million drivers, you would hope all 70 million of them would want to drive your car. Never mind if it was really fast and inexperienced people might not use it responsibly. Sure you’d put in seatbelts, but if they weren’t worn, caveat emptor. 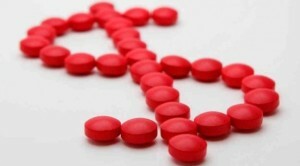 In pain management, drug makers have to now promise not to try to corner their market. And who is the customer? 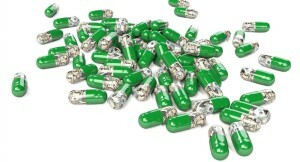 Pharma and the lab industries often think of the prescribers as the customers. No longer though can they wine and dine them like in other businesses (more ambivalence). And heaven forbid you give them a pen or a post it (seriously). You might unduly aggressively be trying to get your customer to use your product by doing so. And if you are successful at winning them over and they appreciate the benefits of your product, usage takes off. Only then do you realize that the docs aren’t the customers because they don’t pay the bill. Then you realize the real “customers” are the payers, federal and otherwise. And after making profits because of the benefits of your product, its commercialization and commoditization, what often follows? Fines and restrictions imposed by payors who hate more than anything unanticipated utilization and innovation. 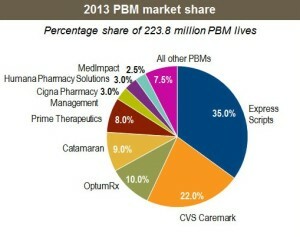 To make matters worse, the amount of payer consolidation occurring in this country is driving further pressure on pharmaceutical manufacturers as, for example, pharmacy benefits management (PBM) organizations seek to pit one manufacturer against another providing incentive for price increases thereby forcing manufacturers to provide higher and higher rebates to PBMs so that the patient will have access to their medicines. What is even more alarming is when drugs with clear benefits relating to safety, such as buprenorphine for the treatment of opioid addiction, is denied by managed Medicaid plans in favor of cheaper and more dangerous alternatives such as methadone. It is a scary healthcare system when clear clinical benefits are pushed aside in favor of cost control measures. Then there’s academia, some of the very doctor-administrators that climb on their high horse with institutional policies that preclude pharma from providing any drug product educational literature to their medical or pharmacy staff and restrict educational meetings sponsored by pharma, which by the way are highly regulated by the FDA. Yet, these very same rule-makers that limit their subordinates consistently have their hands out to Big Pharma to sponsor Grand Round presentations and large research grants. It’s kind of like “do as I say, not as I do”. I am not here to say that pharma and industry necessarily aren’t their own worst enemies in losing their trials in the court of public opinion. So many of their practices, from pricing to direct-to-consumer advertising, make people think of them as little more than snake oil salesman. But they are often somewhat vilified even when they do things “right” following the dictates of our for-profit healthcare system and are then victims of their own success as discussed in a previous blog, Big Pharma from a Marketing and Health Perspective. Then they are forced to pay fines or pay back profits because their customers overused their product; or they are made to look bad when their customers don’t use their products as they intended them to. They are called to task when they refuse to act charitably (and so many do, by the way, in being good corporate citizens in projects that have nothing to do with pricing). They are not charities. We say we want a for-profit, capitalistic healthcare system, yet it galls us when we see people gouging the sick for profits. I know, I know. People will say Jeff you have to make a distinction between ridiculous profits and reasonable profits. I have to? I thought it was the free market that would take care of that for us. So it isn’t just simply a function of what the market will bear? Somewhere Adam Smith is rolling in his grave, after dying a painful illness in 1790. I sure hope he didn’t die because he needed Daraprim, opioid therapy, or something else he couldn’t afford. And now, hot off the cyber press is Pain News Network’s post this afternoon, Special Interest Groups Behind CDC Opioid Guidelines. The article further points out other conflicts of interest. For example, the two professionals (and it may only be two) that had input to the guidelines are publicly known to err on the side of squelching opioid therapy. One is Dr. Jane Ballantyne and the other is Dr. Gary Franklin who I called out with colleagues for his subversive “professional” behavior in an article, The Conundrums of Chronic Opioid Therapy for Noncancer Pain Management. If this isn’t selection bias, I don’t know is – no reputable or trustworthy medical review board would ever allow this, and as The Pain news article linked above points out, “For a guideline to be credible, it is important to eliminate or effectively manage sources of bias. These sources of bias might include financial relationships with industry, intellectual preconceptions, and previously stated public positions. Prior to participation, CDC asked CEG members to reveal potential conflicts of interest. Members could not serve if they held conflicts that could be anticipated to have a direct and predictable effect on the recommendations,” the agency said in internal documents obtained by Pain News Network. In my mind, any healthcare providers that were a part of this CDC charade, including those that are members of CDC, should be investigated, and if appropriate, sanctioned by the board of medicine in their respective states that otherwise demand professional and ethical behavior. They should be investigated for crossing the line, as this will no doubt cast a dark shadow on patients they pledged to care for when they became licensed healthcare professionals. It is a shameful state of affairs to say the least! Are you using your org PROMPT to combat PROP and the other stakeholders in this fiasco? This seems against the law what the CDC is trying to do. Yes Donna – I’ve been on top of it with many colleagues. More coming. Stay tuned! A quick Google of “Martin Shkreli” reveals a few insights into the dealings of this modern captain (corporal?) of industry. When we allow ethically-challenged business people like Mr. Shkreli to control access to essential medical care, is their any surprise that American medicine, in our adult life times, has fallen to the bottom in international ratings of top 20 “First World” medical systems?